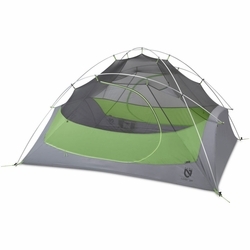 NEMO Losi 3P Tent. The Losi's award-winning design has a unique pole configuration that creates maximum interior livable space for the weight. NEMO's design process — designing from the inside out — results in tents like the Losi with more headspace than competitors.